#MySundayPhoto Number 4 is of this gorgeous bouquet of flowers. 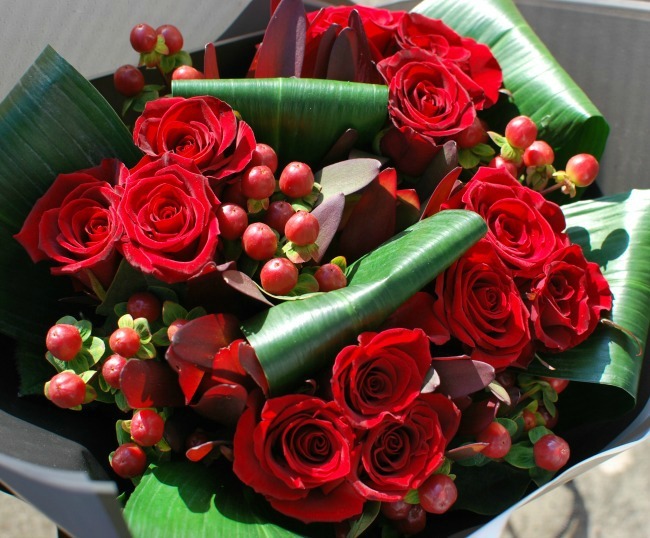 I was so thrilled when Prestige Flowers asked me to review a bouquet from their Valentines Day range. It is a little early for Valentines Day but never the wrong time for flowers....especially roses as beautiful as these. They are gorgeous and it's definitely to brighten up the dark dark days we seem to be having right now. Oh that is such a beautiful bouquet, I'd be so thrilled to receive one like that, I wish I could smell them. They are beautiful and the scent is wonderful to have this time of year. They have opened slightly more today and look even more wonderful. What a beautiful bouquet, they almost look a little Christmasy with the berries. very pretty, I don't usually like red and green together but it works in nature!